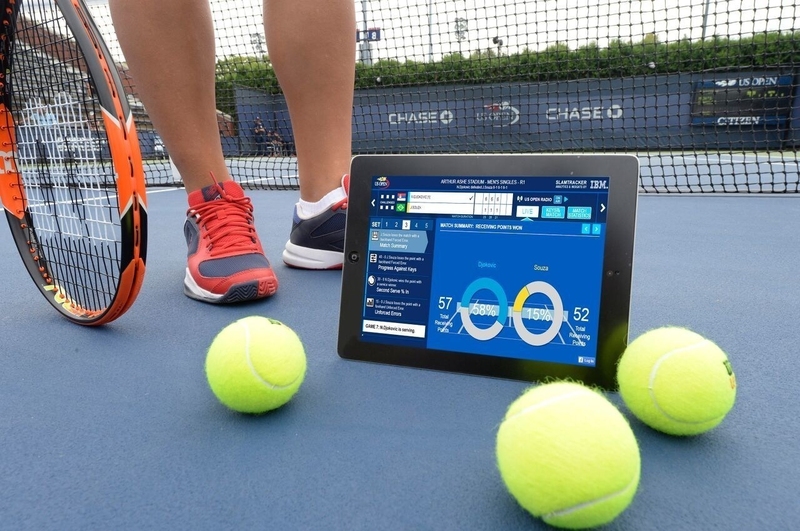 FLUSHING, N.Y. -- IBM unveiled an array of new and enhanced technologies designed to capture, analyze and deliver real-time scores and insights to fans of the 2015 US Open tennis tournament. For the first time, IBM's streaming analytics technology will automatically identify and alert the USTA to record-breaking player achievements and milestones in real-time, enabling significant championship stats and personal career highlights to be shared with fans via social media, Web and news sources. "Year after year, IBM's technological expertise creates an incomparable mobile and digital experience for US Open tennis fans," said Nicole Jeter West, senior director of Ticketing and Digital Strategy, USTA. "We're excited to partner with IBM again to push the boundaries of fan engagement and entertainment to bring the US Open to life and promote the game of tennis to fans across the globe." Throughout the tournament, fans can instantly access a vast range of tennis stats and information, including scores, in-depth analysis and live video. 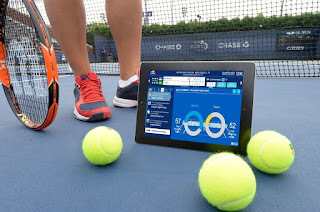 Mobile apps for Apple iPhone and iPad, and Android devices designed and developed by IBM Interactive Experience in collaboration with the USTA place match stats and tennis court action at fans' fingertips to enhance their overall US Open experience. The US Open mobile apps also offer an interactive and informative second-screen experience for fans watching the tournament on TV. SlamTracker analyzes more than 41 million data points from eight years of Grand Slam tennis match data to identify three performance indicators called the "Keys to the Match" that can affect a player's ability to succeed. During a match, SlamTracker synthesizes the real-time data, including serve statistics and winning shots that allow fans to interact with the data to gain deeper insight into match dynamics. The same IBM mobile, analytics, cloud and social technologies that enable the USTA to connect with millions of global tennis fans throughout the two-week tournament also help IBM's clients in every industry. Companies in banking, government, healthcare and retail are more effectively engaging with and serving their customers with help from IBM technologies. Many businesses can learn from how sports organizations are using analytics, cloud computing and other technologies to better understand and improve their daily operations. The US Open is the most highly attended annual sporting event in the world. To support and accommodate the overwhelming spike in traffic to the USTA's digital platforms as the tournament progresses, IBM Cloud offers continuous availability and enormous scaling potential to manage unpredictable spikes in traffic throughout the tournament. IBM provides an end-to-end technology infrastructure to power the US Open experience that captures, analyzes, publishes, stores, monitors and secures the historical and real-time data that is at the heart of the enhanced US Open fan experience. The experience is underpinned by a combination of hardware, software and services, including IBM Power and System x systems, IBM Cloud Orchestrator and the SoftLayer infrastructure from IBM. These technologies enable IBM to help the USTA to rapidly meet changing fan demands by dynamically adding capacity to the hybrid environment that powers the tournament's digital platforms. 0 comments on "US Open Tennis Apps, Analytics, Real-time Data and insights served via IBM Cloud"